It is not a secret that the political system in the United States is broken. Unfortunately, many Christians are ambivalent about, or worse yet, contributors to that dysfunction. Many know they should do something but don't know what to do or how to do it. 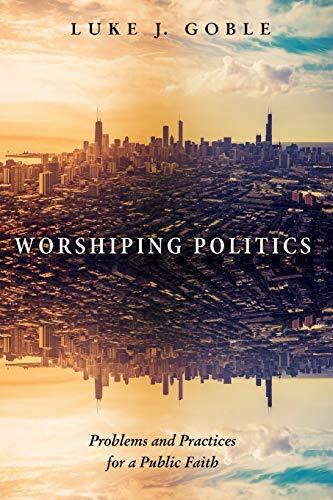 Drawing on insights from history, theology, and culture, Worshiping Politics reframes the relationship between faith and politics as one of intentional formation instead of divisive decision-making. When we focus on how we are formed as people and the church in relationship to our various communities instead of what we think and believe in relation to culture and society, it changes the way we engage the world. Unlearning our faulty emphasis on the power of our own intellect and learning how to be formed in grace and love for the world through our everyday lives just might make a different kind of politics possible. Luke J. Goble is Associate Professor of History and Humanities at Warner Pacific College in Portland, Oregon. He is a foster and adoptive parent and advocate for vulnerable children and families.